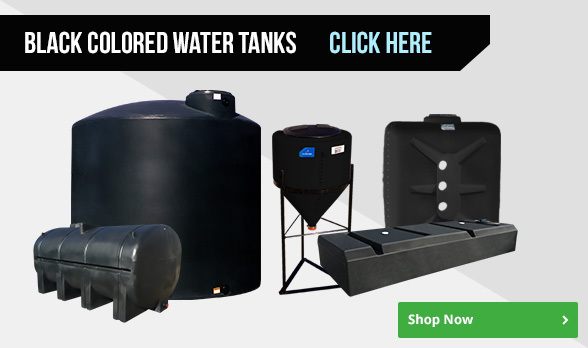 Black water tanks are considered either black in color or tanks that are used for septic or waste holding use. Tanks that are black in color are generally used to protect against direct UV sunlight for outdoor use, or as a color preference. 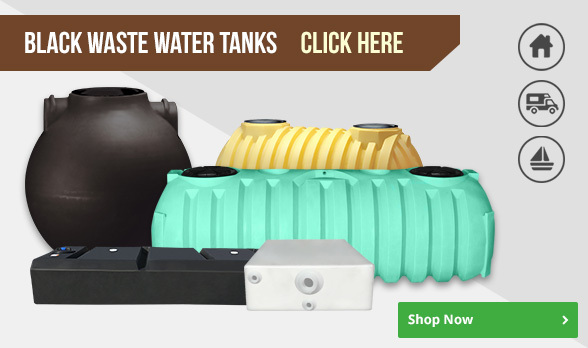 Black septic tanks come in a variety of colors but are used for waste. Black waste tanks are commonly used as residential septic tanks, job site septic tanks, rv waste tanks, and marine waste tanks.